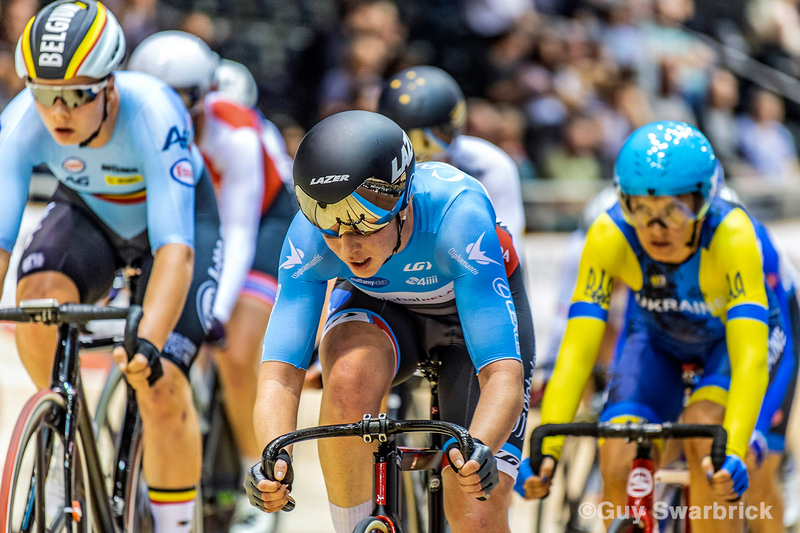 Team Canada finished off the third round of the Track World Cup in Berlin, Germany, on Sunday, with top-10 performances in the women's Madison and men's Omnium. 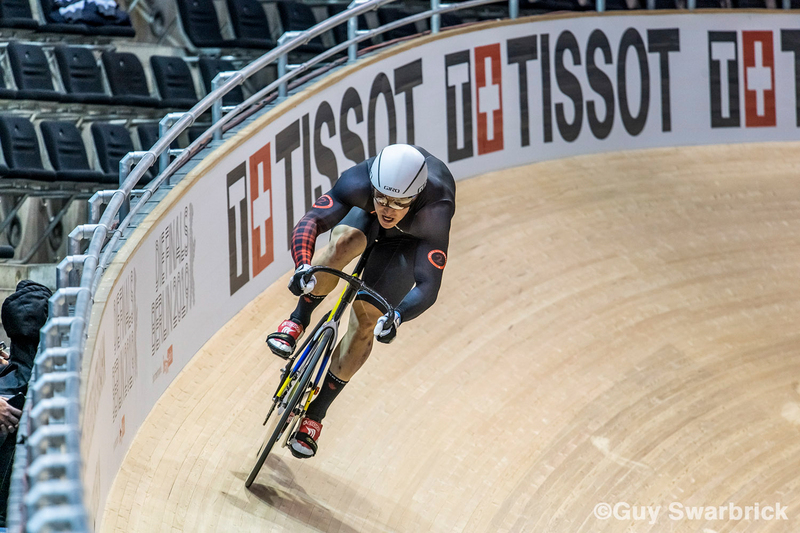 Over the course of the three day event, Canada won two bronze medals in the women's and men's Team Pursuit, plus additional top-10 results on Saturday in the women's Omnium and men's 1000m time trial. 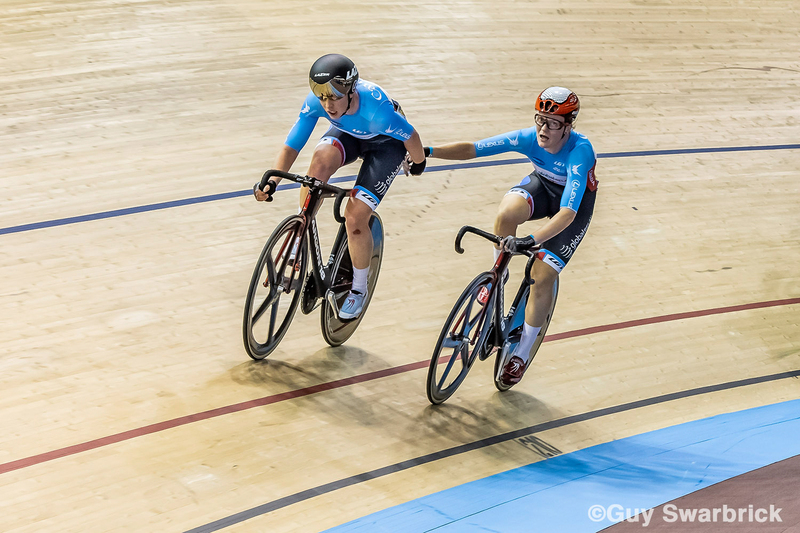 "Our endurance squad delivered great performances this weekend," said Jessika Grand Bois, Track Program Manager at Cycling Canada. "The double bronze medal in the Team Pursuit on the first day was the highlight of this World Cup and we've seen great form in other events as well. It was a bit of a difficult weekend for our sprinters but we're looking forward to London [World Cup], where they'll be determined to make up for this event." On Saturday, Beveridge took second in the opening event of the four-race Omnium, the Scratch Race. The Calgary rider faltered in the Tempo Race, finishing 16th, before recovering with a sixth place in the Elimination and then 11th in the final Points Race. Aidan Caves recorded a time of one minute and 1.978 seconds for the 1000 metre time trial for tenth place, less than one second out of the top five. "I had a few ups and downs," said Beveridge. 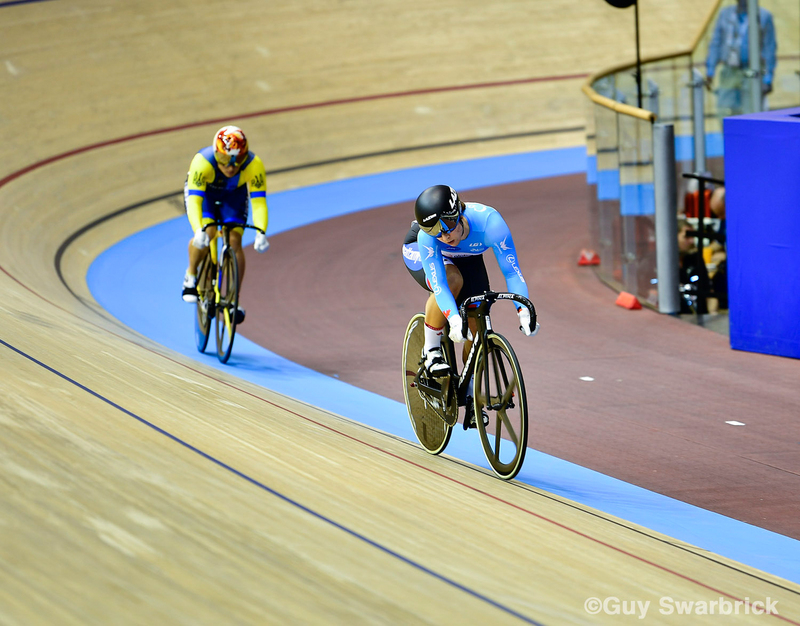 "I had a decent Scratch Race, and then had to reset after the Tempo, but given the time we are in the season, there are some good points that I can use to move forward for the rest of the season." Beveridge and Steph Roorda teamed up on Sunday for the women's Madison, finishing seventh with five points, three points out of the top five. 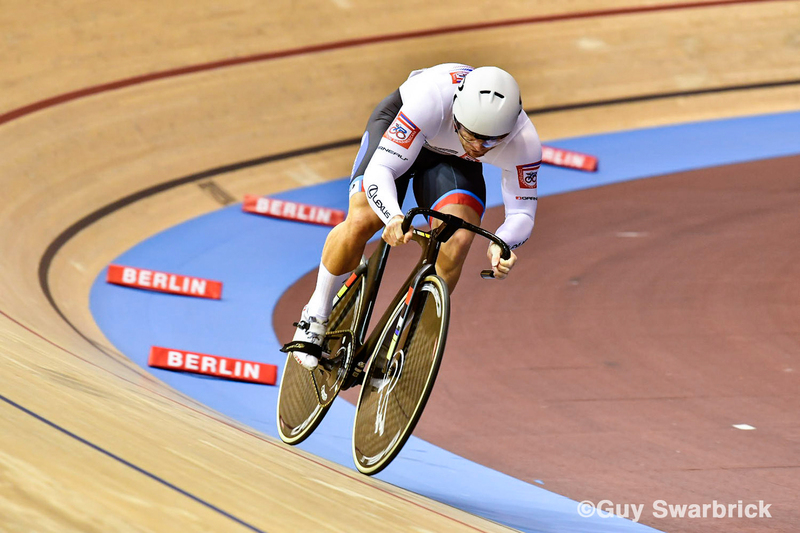 Derek Gee had his second top-10 World Cup Omnium performance of the season, finishing ninth overall, and highlighted by his third place in the Points Race. Gee was 12th in the opening Scratch Race, tenth in the Tempo and 14th in the Elimination, to sit in 12th place going into the Points Race. He was one of a handful of riders to take a lap and finished with 27 points, moving him up to ninth in the overall standings with 81 points. "Learning new things every time; especially in this really strong field," said Gee. "Happy with how the legs are going and being able to compete at this level. Great experience to cap off an awesome weekend after the Team Pursuits and I'm looking forward to the next one." The Canadian sprint team struggled over the weekend, with both Hugo Barrette (men's Sprint) and Lauriane Genest (women's Sprint) relegated during their first round races for entering the sprint lane while someone else was already there (Barrette) or leaving it during the sprint (Genest). However, both riders had strong performances in the 200m time trial, with Genest seventh and Barrette 16th. Genest crashed in the women's Keirin, while Barrette did not make it past the first round repechage. NextGen rider Joel Archambault, racing for the P2M development team, was 35th in Sprint qualifying and did not move on, and missed moving on to the second round of the Keirin by one spot in the repechage. Amelia Walsh qualified 27th in the women's sprint, but did not advance past the first round. 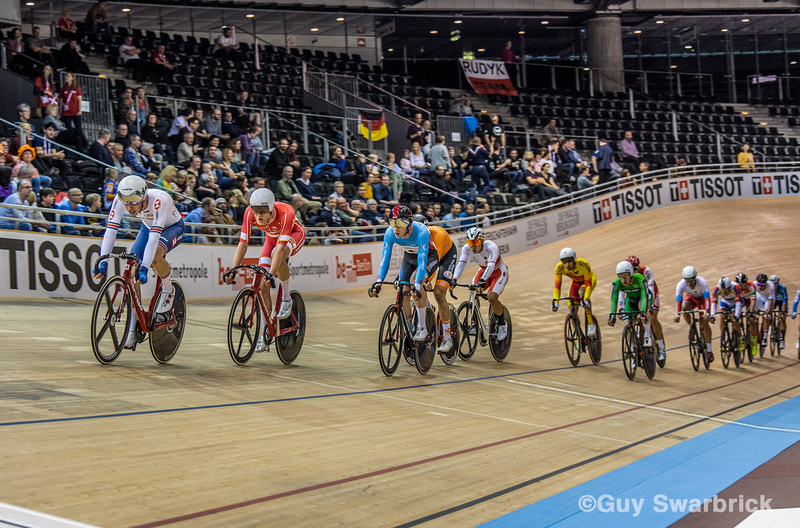 "They had better performances in the 200m than in Milton [World Cup]," said Franck Durivaux, national Sprint coach, "but they also did a lot of technical and tactical mistakes that prevented them going further in the Keirin and Sprint tournaments. They are physically at the level, but there are definitely things that need to be corrected, and it was also the result of a lack of experience for some. We need to take what we have learned here and do the work for future competitions." Archambault was pleased to have a faster 200m in Berlin at 10.170 seconds: "At the Milton World Cup I had 10.300 seconds. This is my best time in competition, even if I think I could have done better. I'm happy to see that I can improve my qualifying time since the beginning of the season. I get up a bend earlier, so in Turns One and Two, and I make Turns Three and Four sitting. After, I dive for the 200m [timed distance]. The majority of people make Turns One and Two seated and Three and Four standing, and then dive for the 200m. I had a good feeling, but there is work to do to make this approach more fluid and more consistent." Genest is now thinking about the next event and is leaving behind a weekend full of disappointment. "I did not look too far ahead and I thought the person in front of me was farther away. I accelerated and collided with her. No one else fell; it was my mistake. I only have scratches on my skin that rubbed the track." "If I take [out] my mistake Saturday that disqualified me in the sprint, I rode well. In the Keirin, I had a very good first round. I showed that I was [fighting], but my group was of a very high calibre. The fall in the repechage meant that the day ended more quickly than I thought. I think if I can do the same thing again in London without these two mistakes, it will be fine!"